In recognition of Mental Health Awareness Month and Children’s Mental Health Awareness Day on May 10th, the Community Technical Assistance Center of New York is offering this brief pre-recorded webinar. Service sectors from behavioral health to child welfare to the juvenile justice system increasingly recognize that children and youth exposed to trauma, adverse childhood experiences and chronic stress require services that are trauma informed. This often means focusing on building service providers’ knowledge and awareness of the potential long-term impact of trauma and chronic stress. Often missing from the discussion of trauma informed care is information about specific practices that can help overcome exposure to trauma and chronic stress. 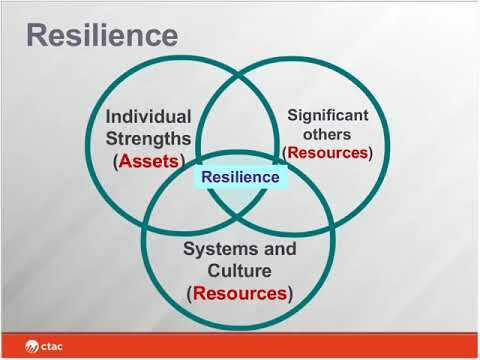 This brief pre-recorded webinar provides an overview of the concept of resilience and specific practice elements that are critical to building resilience informed service environments that can help children and families overcome or recover from trauma and toxic stress exposure.